Last Fall, I was invited to the launch of the Ninja Master Prep kitchen appliance. During the presentation, we were also introduced to another Euro-Pro product line, Shark House Care Solutions. I was impressed with the vacuums and steam appliances we were shown but was curious about how they would perform at home with actual, everyday dirt instead of rice and fake schmutz brought into the otherwise pristine Mandarin Oriental hotel solely for demonstration purposes. I've been testing out the entire suite of Shark House Care Solutions (aside from their line of irons, which would pretty much go to waste in our household and Shark hand vacs, which are reputedly awesome, according to my friend who has three very sheddy dogs) over the last couple of months and overall, I must say that I am very pleased with their performance. I am going to let you know what I thought about each of the products I received, in no particular order of preference. The Shark Portable Steamer is an incredibly useful little gadget. I was really excited to try it because we have several "problem" areas in our home that I thought it would be particularly great on: the scaly hard water deposits on our glass shower doors and the uneven slate tile in our master bath. It was really impressive on glass and mirrors with the squeegee attachment and the different "steam pocket" attachments clean everything from kitchen appliances and range hoods to counters, cupboards and other large surfaces easily and efficiently without any toxic chemicals. That's the beauty of this little guy- it does everything solely with the power of steam, no harsh detergents or cleansers needed, so it is very earth friendly and safe for kids. If, like me, you're anti-ironing you can even use your Shark Portable Steamer as a garment steamer. It takes a little practice, but once you get the maneuvers down, it is very quick and easy. My only complaint about this tool is that it comes with a lot of attachments but not a case to store everything in. I'd love to have an easy way to store the steamer and all of its parts in so I don't have to keep it in its original box. I am more likely to use it if I can get to it without a hassle. Possibly my favorite of all of the items I reviewed, the Shark Steam Pocket Mop also uses the power of steam to clean and sanitize your hard surfaces. The patented 2-sided cleaning "pocket" swivels, allowing you to clean with one side, and sanitize with the other for more efficient cleaning. 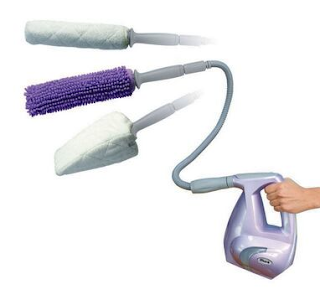 It comes with three quick-release "pocket" mop heads in different shapes and sizes (rectangle, triangle and extra large open-area rectangle), a carpet glider attachment and four reusable microfiber cloth pads. It's very lightweight and maneuverable, with an extra-long 30' cord, and you can release extra concentrated steam for problem areas by simply pumping the handle. The steam dries quickly and doesn't remain hot enough to harm your curious kids, which was something I was worried about. I absolutely LOVE being able to pull off the dirty pad and toss it into the washer. There's something so satisfying about seeing the grime you've just removed from your floors and being able to eradicate it the washing machine. I was concerned that the pads would tear but they are very durable and secure tightly with heavy duty velcro. As a matter of fact, the Shark Steam Pocket Mop withstood the uneven slate tile that I mentioned before, which usually shreds those pesky disposable mop sheets. Score! Again, though, I wish it came with a storage solution for all of the handy attachments. 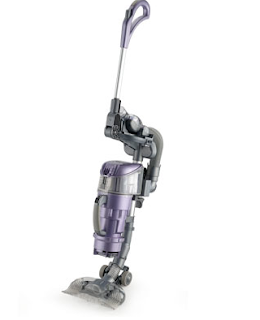 The Shark Multivac with Back Saver Wand is kind of like a cleaning Transformer. In fact, Jasper was convinced it was a robot! It can be used as a hand vac, portable canister vacuum or a stick vacuum depending on your need. It has impressive suction and can pick up large particles (Cheerios, et al…), plus it has a turbo brush attachment on board that is great for pet hair. The Shark Multivac with Back Saver Wand can also get into just about any crevice or corner depending on how you configure it. I think it would be an amazing vacuum for someone who wants to switch it back and forth with all of the different configurations but, honestly, it was a bit unwieldy for me. 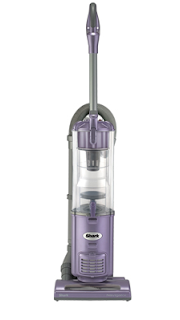 The Shark Navigator is a really good mid-priced (around $200) vacuum cleaner. 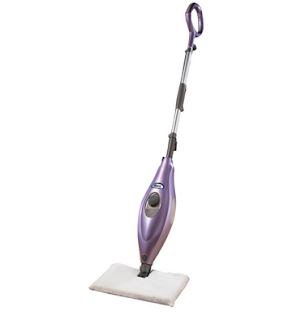 It is lightweight and easy to maneuver and performs well on rugs and bare floors. 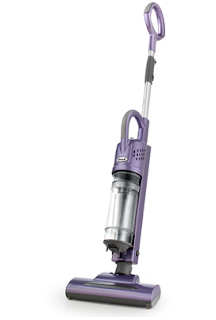 It comes with a 24 inch crevice tool for tight spaces, Power Nozzle and additional Turbo Power Brush, plus the super-stretch hose with quick release wand that provides 12 feet of cleaning reach. I really like that it is a bagless vacuum and its lifetime filters just need to be rinsed twice a year. The Shark Navigator also carries a 5 year warranty. It's a good, sturdy, all-purpose machine. Disclosure: I received the Shark House Care Solutions products reviewed above in order to review them. I also attended a media event in NYC for their sister company and my travel and lodging was provided. No other compensation was given and I wrote this review without being required to do so. My opinions are my own, formed after using these products over the last few months. wow, these look like great gadgets Naomi! thanks for sharing. That steamer is cool! I want the steam mop! !